This Copal is from Mexico and has a white - transparent color with smaller darker inclusions. It has a delicate, slightly woody scent and is very refreshing. This Copal opens a way for the perception of the divine. 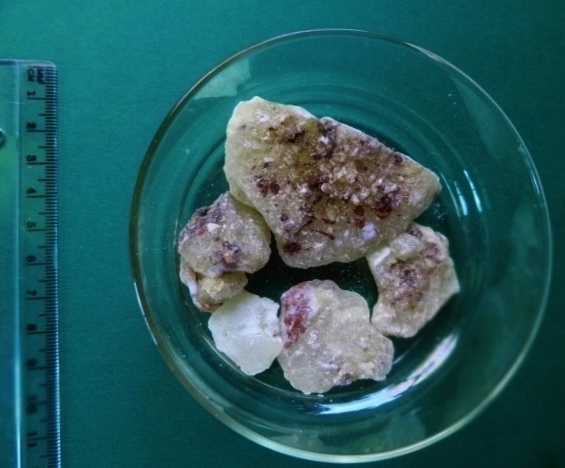 Copal is derived from Aztec Copalli or Cocopaltic. The Mayans call the resin Pom. It means brain of heaven. It was their most important incense for all religious, magical and medicinal purposes. Copal can be very smoky alone. But it is also excellent for mixtures with any other incense.